The Brooklyn quartet finally releases their first full-length album, after tempting us constantly with singles and an EP. They sound like they came straight out of the 1980’s post-punk/indie scene. I’m shocked they’re not British. Their music is great and if they’re not huge by the time I post this review then I am sure they will blow up soon. Recommended if you like The Smiths, Voxtrot, that sort of thing. I’m gonna have to check these guys out. I love Voxtrot. I’m glad you like them! 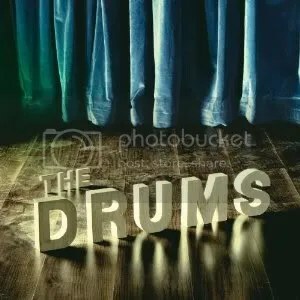 The Drums are pretty cool. I actually don’t have a lot of recommendations at the moment because I haven’t been spending a lot of time listening lately (been working full-time and spending my time after work in the pool to beat the summer heat! )…I just listened to the new Ra Ra Riot EP, and if you haven’t checked them out yet, maybe give them a try. I think you mightlike the orchestral, grandiose sound since you like Voxtrot. This entry was posted on July 4, 2010 at 12:00 pm and filed under TheSlacker. You can follow any responses to this entry through the RSS feed.